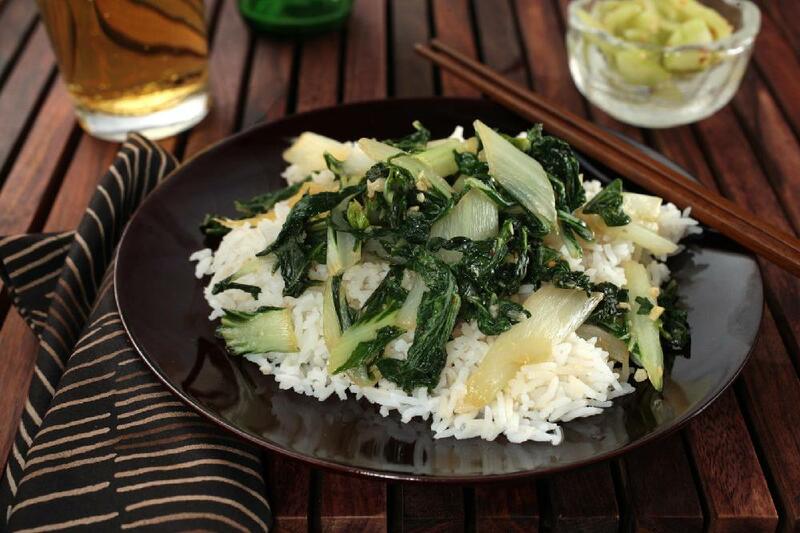 Bok choy is the perfect vegetable for a healthy side dish. This easy recipe is flavored with garlic, ginger, and a drizzle of sesame oil. 1. In a large frying pan with a tightfitting lid, heat the vegetable oil over medium-high heat until shimmering. Add the garlic, ginger, and red pepper flakes and cook, stirring constantly, until fragrant but not brown, about 30 seconds. 2. Add the bok choy and, using tongs, fold it into the garlic-ginger mixture until coated, about 1 minute. Add the soy sauce and water, cover, and cook until steam accumulates, about 1 minute. Uncover and cook, stirring occasionally, until the greens are just wilted, the stalks are just fork tender but still crisp, and most of the water has evaporated, about 2 minutes. 3. Turn off the heat, stir in the sesame oil, and season with salt if desired.